Hungarian scientist Endre A. Balasz was first to suggest hyaluronic acid injection to treat knee arthritis in the 1940s. Four decades later, the viscous gel saw its first use in 1987 as lubricant for osteoarthritis-affected knee joints in many European countries. In 1997, the FDA approved the viscosupplement to treat knee arthritis. Typical brand names used as hyaluronic acid injections include Synvisc, Hyalgan and Orthovisc. The top pain management clinics in Seattle offer viscosupplementation with hyaluronic acid, which is covered by insurance. What is hyaluronic acid injection? Hyaluronic acid injections inject hyaluronic acid, a viscosupplement, to lubricate knee joints affected by arthritis. Hyaluronic acid is a natural lubricant protein found in the synovial fluid surrounding a joint. The cartilage, located between two bones forming the joint and facilitating smooth gliding of bones, is lubricated by the viscous gel from the synovial fluid. When osteoarthritis affects the knee joint, synovial fluid dries up, cartilage wears away, and with it ends the supply of lubricant to the joint. The condition prevents smooth gliding of bones and results in pain and disability. To treat such conditions, hyaluronic acid injections are administered to keep the knee joint lubricated. What conditions are treated through hyaluronic acid injections? Hyaluronic acid injections are used to treat knee arthritis. Osteoarthritis results in degeneration of the cartilage and the joint bones lose their smooth surface to glide on. A thin cartilage fails to provide cushioning and exposes bones to rub with each other. Natural hyaluronic acid secretion from synovial capsule also reduces. 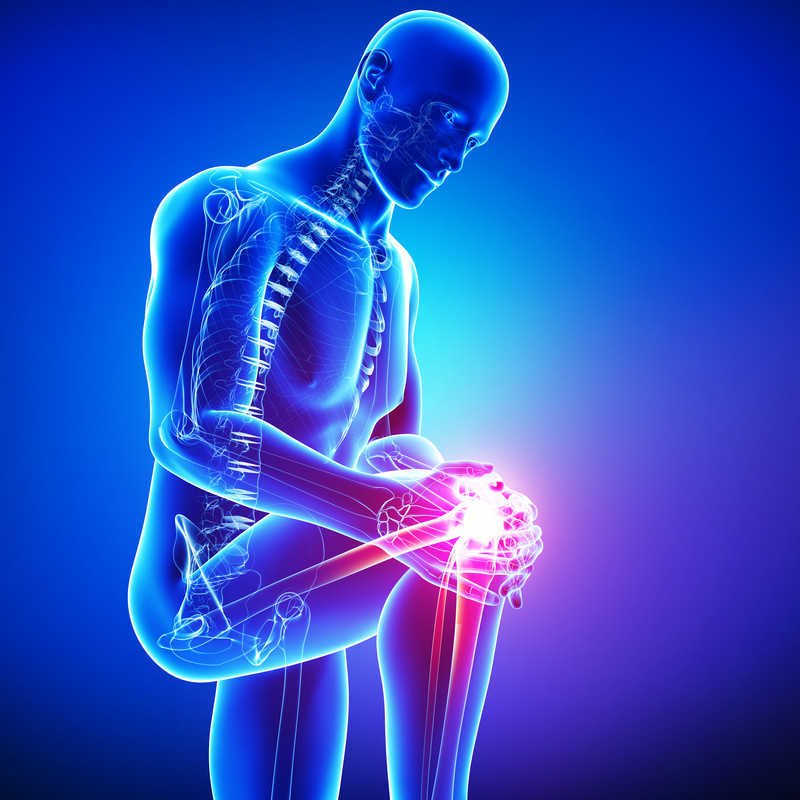 Pain due to arthritis forces restricted knee movement. In such a scenario, artificial injection of hyaluronic acid improves the condition of the arthritis-affected joint by keeping it lubricated. Why should I go for hyaluronic acid injections? Hyaluronic acid injections provide extra lubrication to the cartilage, improve its cushioning role, and keep it protected from further damage. An injection keeps the knee joint lubricated for months depending on the patient condition. Just like an automobile engine, the knee joint needs to be kept lubricated to protect its cartilage against wearing away and allow its smooth functioning. Hyaluronic acid injections keep the viscosity of the joint fluid at the desirable level, ensure normal joint cushioning, reduce pain, and permit better knee movement. Some researchers also claim that it slows down arthritic progress. When should I go for hyaluronic acid injections? Patients with mild to moderate degenerative arthritis are best suited to have viscosupplementation of the knee joint using hyaluronic acid injections. The procedure is also recommended for patients who do not get any relief from the use of medications, physical therapy, corticosteroid injections, and other conservative pain management methods. The injection may not provide substantial benefit for those with advanced arthritis with complete cartilage damage. How is a hyaluronic acid injection administered? Hyaluronic acid injections are administered after the skin over the knee is numbed with a local anesthetic. The Seattle pain doctor may use fluoroscopic guidance to avoid injury to the surrounding tissues and nerves. The viscous compound is inserted directly to the knee joint capsule using a needle. Excess fluid is removed prior to the injections, if there is swelling in the knee. Hyaluronic acid injections are administered one or more shots spread over weeks or months or a year depending on the suggestion of your doctor. Depending on the patient condition, it is also used along with pain medications, cortisone or similar steroids, and anti-inflammatory medicines. It takes 15 to 30 minutes to administer a hyaluronic acid injection. Do I need rest after hyaluronic acid injections? The procedure is performed in an outpatient setting. Patients are discharged on the same day. It is suggested to have overnight rest at home. What precautions should I have following hyaluronic acid injections? Avoid putting stress on your knee for 48 hours. Avoid running, jogging, weight lifting, sports, or standing for long time for 2 to 4 days. Take medication and care for pain and swelling in the knee immediately after the procedure. Use rice therapy for the first 2 days. What are potential side effects of hyaluronic acid injections? Immediate potential side effects may include pain and swelling in the joint. Patients may experience muscle stiffness, difficulty to move, burning sensation, itching, and tenderness at the injection site. Hyaluronic acid injections are not for those suffering from skin or joint infections. Those allergic to poultry products should stay away from those hyaluronic acid injections sourced from chicken or rooster combs. Those with circulatory problems in their legs, pregnant, and breast feeding should also avoid the injection. How well do hyaluronic acid injections work? The benefit of hyaluronic acid injections are felt weeks after the procedure. In most cases, the relief is experienced after five to 10 weeks. There are many observational studies, systematic reviews and experimental reports confirming the advantage of these injections over drugs and conservative therapies. A 2013 meta-analysis highlighted significant improvement in knee osteoarthritis conditions after the administration of hyaluronic acid injections. It was based on 4,500 patients treated with the procedure in 29 randomized studies. A 2006 Australian study claimed that these injection offered slight edge over drugs with 54 percent pain reduction and over 32 percent improvement in knee movements for daily activities. Hyaluronic acid injections also score over corticosteroid injections in two areas. The effect lasts long providing relief for a longer duration. Also, it does not have any catabolic effect, as frequent use of corticosteroid can cause. While average relief is pegged at three months, a number of studies indicate pain relief extending up to six months or a year. According a report in the Journal o f Bone and Joint Surgery, hyaluronic acid injections give best results in case of moderate knee osteoarthritis. The top pain management clinics in Seattle, such as Seattle Pain Relief, offer viscosupplementation with hyaluronic acid along with several additional arthritis treatments for the hip, knee, ankle and shoulder to avoid the need for potentially risky surgery. 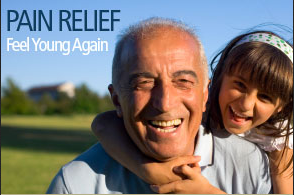 Seattle Pain Relief offers a Double Board Certified provider who is an expert in over 25 pain treatments. For the top pain management Seattle trusts, call (855) WASH-PAIN today! McNeil JD. Intra-articular hyaluronic acid preparations for use in the treatment of osteoarthritis. Int J Evid Based Healthc. 2011 Sep. 9(3):261-4. Chou CL, et al. Effect of intra-articular injection of hyaluronic acid in rheumatoid arthritis patients with knee osteoarthritis. J Chin Med Assoc. 2008 Aug. 71(8):411-5. Lester DK, Zhang K. Gait analysis of knee arthritis treated with hyaluronic acid. J Arthroplasty. 2010 Dec. 25(8):1290-4. Watterson JR, Esdaile JM. Viscosupplementation: Therapeutic Mechanisms and Clinical Potential in Osteoarthritis of the Knee. J Am Acad Orthop Surg 2000;8:277-284. Lussier A, et al. Viscosupplementation with hylan for the treatment of osteo- arthritis: Findings from clinical practice in Canada. J Rheumatol1996:23: 1579-1585. Huskisson EC, Donnelly S: Hyaluronic acid in the treatment of osteoarthritis of the knee. Rheumatology (Oxford) 1999;38:602-607. Lohmander LS, Dalen N, et al: Intra-articular hyaluronan injections in the treatment of osteoarthritis of the knee: A randomised, double-blind, placebo-controlled multicentre trial. Hyaluronan Multicentre Trial Group. Ann Rheum Dis1996;55:424-431.